Once again, Amazon wants to know what you think of its new pilots. The company this week kicked off its newest pilot season with two one-hour drama pilots and six children’s show pilots. Instead of a bunch of suits debating what to greenlight, viewers can watch the pilot episodes and review them in order to help Amazon choose which ones it will order to series. One interesting note: Stories dealing with shifting time were a major trend in this year’s new fall broadcast shows, and the same goes for Amazon’s drama pilot offerings. 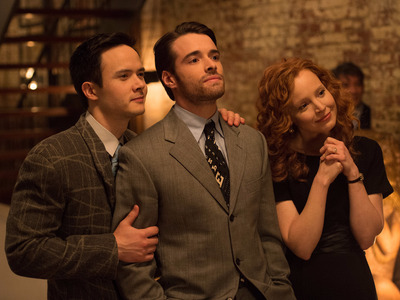 Adapted from Meg Wolitzer's critically acclaimed 'New York Times' best-selling novel, 'The Interestings' stars 'Six Feet Under' actress Lauren Ambrose and follows her group of artistic friends in three different decades. There's so much potential in 'The Interestings.' The casting is great. The sets are beautiful and really capture their respective decades. And there's always some innate curiosity in how the relationships of young friends can change, sour, get stronger, and even end over years. But 'The Interestings' pilot was too in a rush to let that play out. There are so many time shifts in the one hour that we never really get to sit in any part of the story. Worst of all, we don't really get to know the friends well in the early years. And as kids, they're pretty mean to others and elitist. So if we don't quite like or know them, then we need to know why they stuck together over the years. We also need to feel more connected to Ambrose's Jules as the show's central character. It's possible. She was the awkward outsider who broke into the summer camp's most popular and talented crew. But instead of really getting attached to her, we jump to the future to meet a jaded version of her. The younger years comprise probably the show's weakest storyline, but something really bad happened that caused a rift in the crew and one of them was on the run from the police. That's where the story gets good, in the later years, as he returns home and we wonder what the hell could've happened. Should it get a full season? Maybe. We believe the story problems can be sorted out if it gets more episodes and it's given some room to breathe. 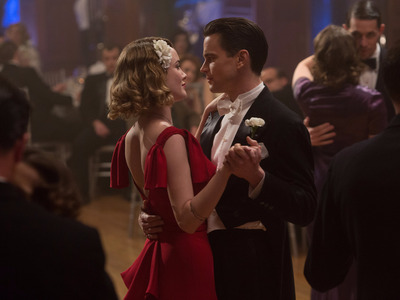 'The Last Tycoon,' based on the F. Scott Fitzgerald novel of the same name, is set in 1930s Hollywood as a movie studio deals with the unexpected death of one of its biggest stars, struggles to keep the business going amid the Great Depression, and is forced to confront the growing international influence of Hitler's Germany. Its cast includes 'White Collar' star Matt Bomer, 'Frasier' actor Kelsey Grammer, and 'The Blind Side' actress Lily Collins. This is one of the better pilots we've seen in quite a while. Its snapshot of old Hollywood in a very pivotal time for the movie industry is deeply absorbing. On one side, we have the studio lot with its pristine sets, glamourous clothes, and beautiful people. On the other side of the wall, we have a deteriorating camp of Okies, people who have travelled to green California to escape the Oklahoma Dust Bowl only to live in squalor as The Great Depression has swallowed all the jobs. Bomer's golden-boy movie producer, Monroe Stahr, is at constant odds with his father figure and boss, studio chief Pat Brady (Grammer). All he wants to do is make the best American film of all time, but Pat fears the mounting bills. Hitler's film czar demands a say in every production and how the Germans are portrayed or he'll shut their films out of his country, a financial hit Pat is trying to avoid. Still in mourning over his wife, Monroe is tempted by the beautiful women who are throwing themselves at him. Yet despite his desire to create beautiful things, it's beauty that draws him into trouble. 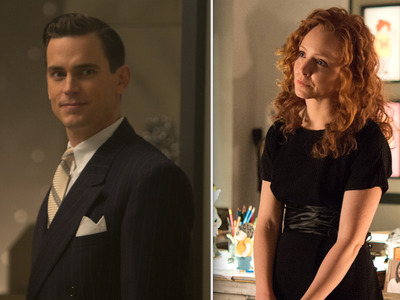 Needless to say, Bomer is just one of the feasts for the eyes in this beautifully made pilot. Should it get a full season? Yes. Give us more.